If you would like to store your caravan overseas, you should check your insurance cover first as the majority of policies will only cover caravans that are stored in the UK. Most European countries require caravans/trailers to be registered in their own right and to have their own registration number. This means that you will find it very difficult to sell your caravan unless you bring back to the UK. Officially caravans can only be left in another EU country for a maximum of six months (before they need to be registered). If you plan to leave your caravan for longer than six months without officially registering it you need to ensure that you have paperwork to prove that you paid VAT when you originally purchased the caravan in the UK. There is also the question of validity of the manufacturer's warranty for caravans less than three years old if the supplying dealer does not carry out annual servicing. 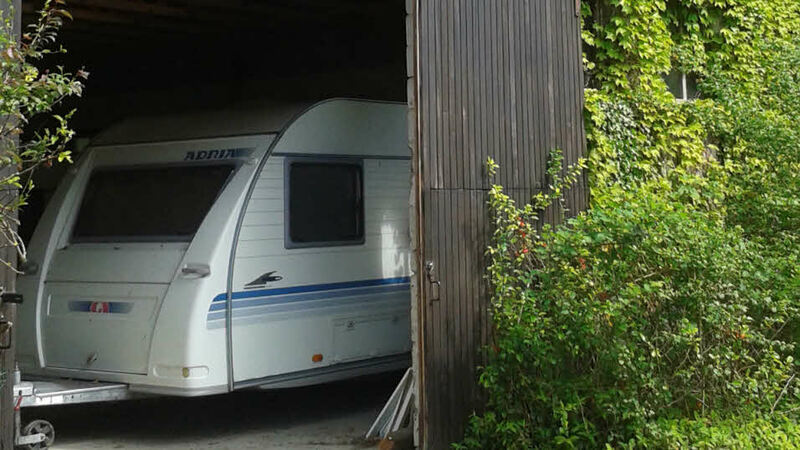 We have provided some information on storage facilities in France and Spain below, however if you are looking to store your caravan in other European countries, or in an area of France or Spain that is not covered by our list, you will need to contact the campsites directly to ask if storage facilities are available. You can also ask for recommendations and suggestions on our overseas touring community pages on Club Together. Inclusion in the following list does not signify that these sites have either been vetted or approved by the Caravan and Motorhome Club. Some, but not all, will offer bed and breakfast facilities, meals, advance siting, etc. Members will need to contact the sites directly regarding availability, facilities, charges, etc. FR Assistance offers an extensive network of storage locations across France. For further details, please visit the FR Assistance website. Near the junction of the A20 and A89 (45 minutes south of Limoges). Offers storage, B&B and airport transfers. Secure, covered industrial storage with concrete floor. Short stays available. Only an hour and a half away from the Normandy ports. This is not a campsite. Mr Doyle owns a farm and has storage facilities. Short stays are available but no facilities are provided. Matthew & Donna Marie Goddard. We are in the centre of Chabanais approximately 30 minutes west of Limoges airport and only two minutes from the main motorway RN 141. We can arrange airport transfers and overnight accommodation as required. Offers storage rates from a week to a year, near Alicante. Offers yearly and monthly storage rates, and is located in the north east of Spain in Girona. Offers servicing and cleaning, with over 800 covered pitches available, located near Girona. Indoor and outdoor storage, servicing, 24hr access and airport transfers available. Offers outdoor and indoor storage, servicing and taxi service to Alicante airport. Located in Dolores near Alicante. Located near Tarragona. Offers transport to local campsites, servicing, repairs and cleaning. Ramsey Douglas Caravan & Motorhome Storage Tel: 0034 951 204 247 Email: info@ramseydouglas.com www.ramseydouglas.com Located near to the city of Malaga on the road A402 between Lake Vinuela and Puente Don Muel in the village of La Vineula. Transfers available to and from site as well as airport transfers. There is also an overnight facility with electric hook up, fresh water and showr available. Outdoor and indoor storage. Fully secured, fenced and gated. How do I take my pets abroad with me? From pet passports to banned breeds, we offer in-depth advice and information about travelling with pets. Do you have any campsites in non-European countries such as the USA, Australia, Canada or New Zealand? Our overseas sites extend only to Europe, however we list telephone numbers and tourist office information for North America and Australasia. If you want to visit these countries with The Club, perhaps consider one of our worldwide tours. Does the Club own any overseas sites? We work closely with over 250 campsites which are regularly visited and inspected by Club staff. We don't own or manage any overseas sites.